Travel to Botswana’s Chobe National Park to see Africa’s wildlife as it once was. 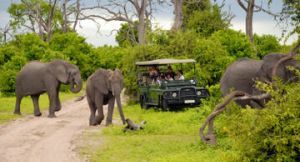 A Chobe safari takes you to a destination as famous for its great elephant and buffalo herds as it is for its predators. Big cats, hyenas and wild dogs are all resident in Chobe and it’s also home to a zebra migration, hippo-filled rivers and some of the best bird watching in Africa. A Chobe safari is best divided between its two most accessible regions – the Chobe River and Savuti. Dominated by lush floodplains and riverside forest, the Chobe River is the most popular region and offers excellent game viewing from the comfort of 4X4s and boats. The Savuti area (often spelled Savute) lies at the centre of the park and has a long pedigree of thrilling wildlife encounters. Nourished by the waters of the Savuti Channel, Savuti is the stage for giant bull elephants and epic confrontations between predator and prey. Chobe is usually part of a larger itinerary that includes the Okavango Delta and next-door Victoria Falls. You can explore Chobe National Park on an overland camping safari, staying in comfortable tents and enjoying fire-cooked food and expert guiding. You can also choose to go accommodated, flying from lodge to lodge to cut out the overland travel. You’ll need to choose the timing of your visit carefully. The arrival of the summer rains changes the distribution of wildlife (especially around the Chobe River) and itineraries should be carefully planned for maximum reward. 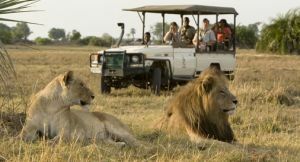 Talk to Safari Online about a Chobe safari. There are several camping options to choose from and a wide selection of safari accommodation: Chobe’s camps and lodges range from value-for-money and family-friendly to indulgently-exclusive and honeymoon-perfect. 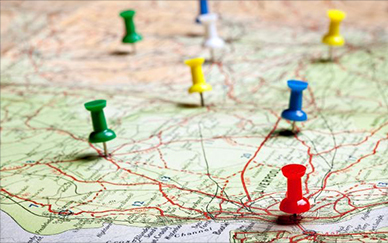 We’ll recommend the best tour or accommodation for your requirements or will tailor-make a personal itinerary for you. 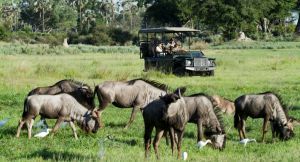 Morning & afternoon game drives with expert guides bring the drama of Chobe straight to you: the raised & open-sided vehicles are ideal for photography & you’ll enjoy drinks & snacks too. An all-year wildlife haven, the Chobe River attracts thousands of elephants & buffalo in Botswana’s dry season. 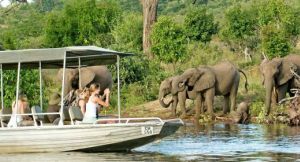 Riverside lodges offer sunset river cruises & game viewing by small motor boat. Game-rich Chobe is a predator’s paradise & home to healthy populations of lion, cheetah & leopard; it’s also a great place to search for the highly endangered wild dog. With around 500 bird species, the Chobe Park is an epic bird watching destination, especially in summer when migrants arrive. 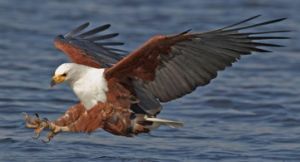 The Savuti & Chobe River areas are Chobe’s birding hotspots. 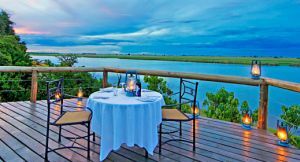 Many of Chobe’s lodges are as famous for their romantic ambience as they are for their game viewing; intimate camps, luxurious honeymoon suites & plenty of private pampering. 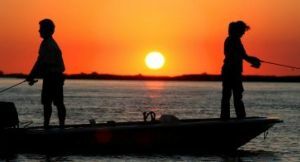 A few select lodges offer catch-and-release fishing in the Chobe River. If you’d like to spend an afternoon casting for bream or wrestling a toothy tiger fish, then come fishing in Botswana. 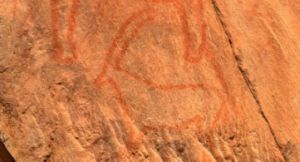 Indigenous Khoisan hunters left their mark on the landscape: head for Chobe’s Ghoha Hills for well-preserved examples of ancient rock art, bought to life by local guides. 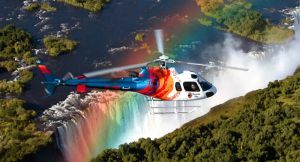 Victoria Falls is only a 2-hour drive from the Chobe River. Pop across the border to either Zambia or Zimbabwe to see the thundering world wonder up close & personal.